Come join us in the countryside! Wickedfood Earth is a self-sustaining working farm in the Magallies Valley. 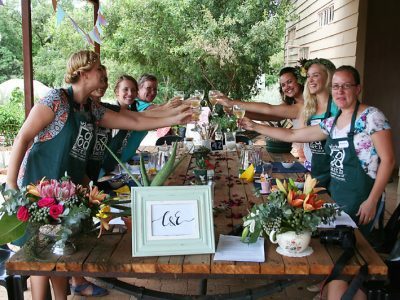 The farm includes the Country Cooking School, a purpose built teaching kitchen for team building events. Wickedfood Earth is a community upliftment, self-sustainable lifestyle project. We have developed a self-sustaining lifestyle showcase subscribing to the ethos of “Responsible use of sustainable resources“. Our vegetable gardens are planted with a wide variety of naturally grown produce and we have an extensive fruit and berry orchard. More…. In recognition of the groundbreaking work that is being done on Wickedfood Earth Farm, Slow Food Johannesburg honoured Cilla and Mike with a Food Heroes Award for “development of rare breeds and education on sustainable food and farming.” More…. 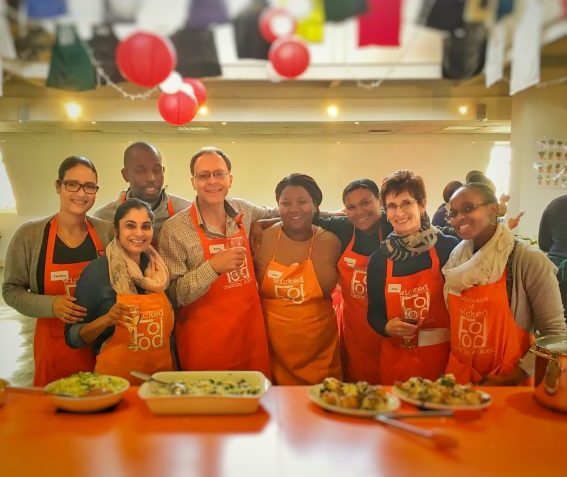 We can accommodate up to 80 participants in our purpose-built teaching kitchen with 4 fully-equipped cooking stations, extensive outdoor cooking area, and a covered eating area. On selected Sundays we offer mezze country lunches and special food events, built around our antibiotic and growth hormone free veld raised fresh and cured meats and the very best local grown, seasonal produce. 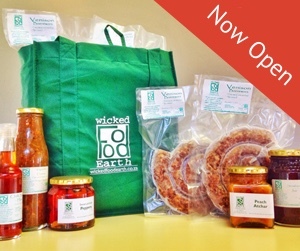 We sell a wide variety of produce off the farm, all grown and produced at Wickedfood Earth, including fresh and cured meats, jams, preserves, chutneys, relishes and artisanal berry vinegars.